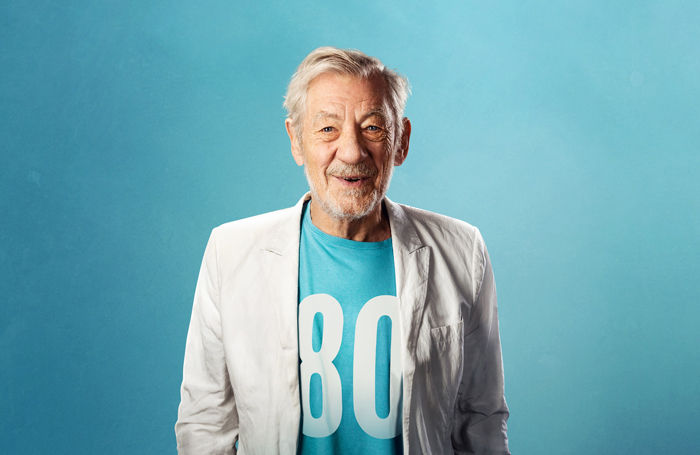 Ian McKellen has announced plans to raise money for 80 theatres across the UK as part of an ambitious nine-month solo tour in celebration of his 80th birthday. The one-man show, called Tolkien, Shakespeare, others…and you!, will play at theatres from Cornwall to Orkney, including the UK’s largest stages and some of its smallest. The list includes venues with which McKellen has a personal connection. Among them are London LGBT+ venue Above the Stag Theatre, amateur group the Questors, RADA, and small-scale regional theatres such as Wigan Little Theatre and the Marine Theatre in Lyme Regis. The tour, which runs from January to September next year, will also visit the National Theatre, the Royal Shakespeare Company, Bristol Old Vic, Birmingham Repertory Theatre and the Edinburgh International Festival. These include supporting £10 tickets for under-30s at Hampstead Theatre, refurbishing the auditorium of the Questors’ Judi Dench Playhouse, funding an emerging Welsh directors scheme at Theatr Clwyd and raising money for Cast in Doncaster’s work with children and vulnerable adults. The tour will begin on January 25 at McKellen’s local arts centre, the Space in east London. It will be directed by Sean Mathias and produced by Ambassador Theatre Group, whose executive producer Adam Speers said: “The UK’s regional venues are integral in supporting and developing artists and practitioners across all areas of the theatre, both on and off stage.